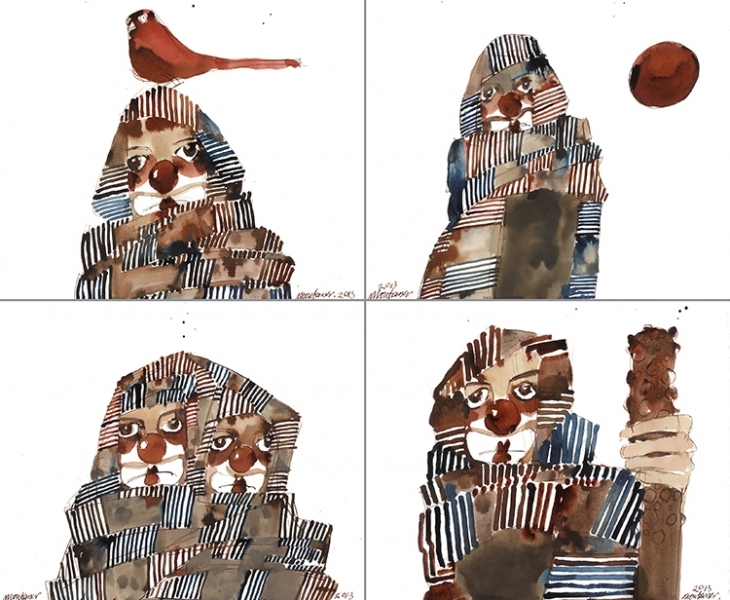 After more than a year since his first exhibition, “Table of Life”, the Egyptian Artist Tarek Montasser returns to the art scene this fall with his remarkable exhibition “It’s Not Funny!”. 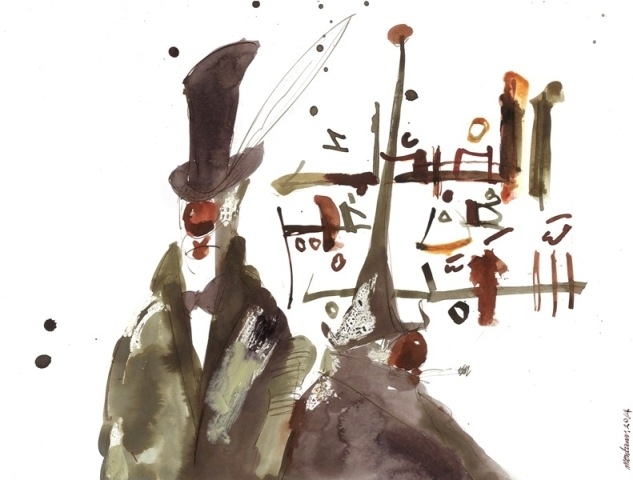 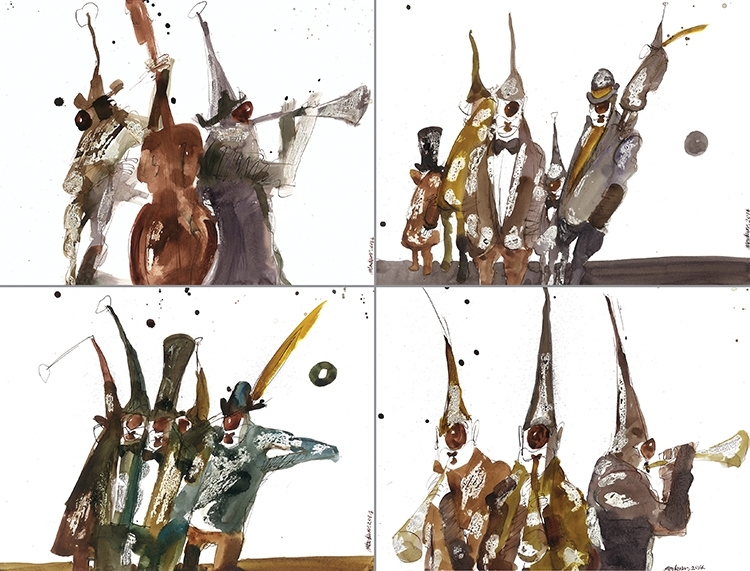 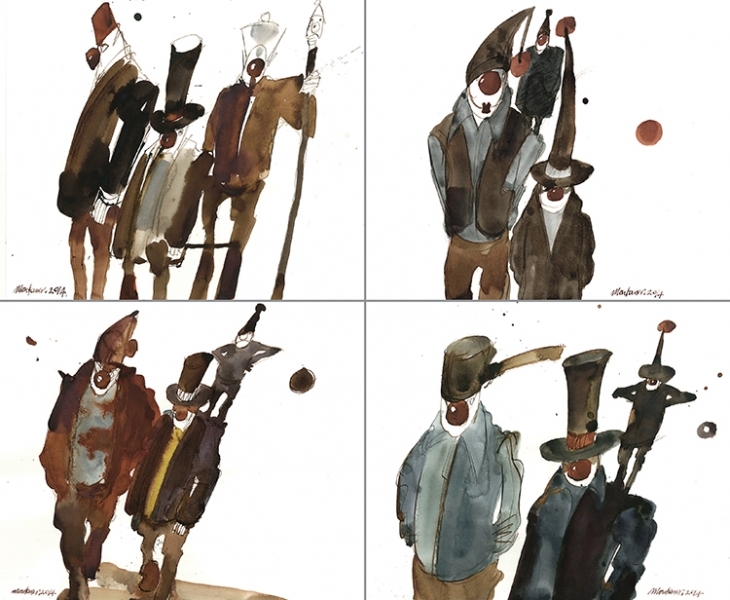 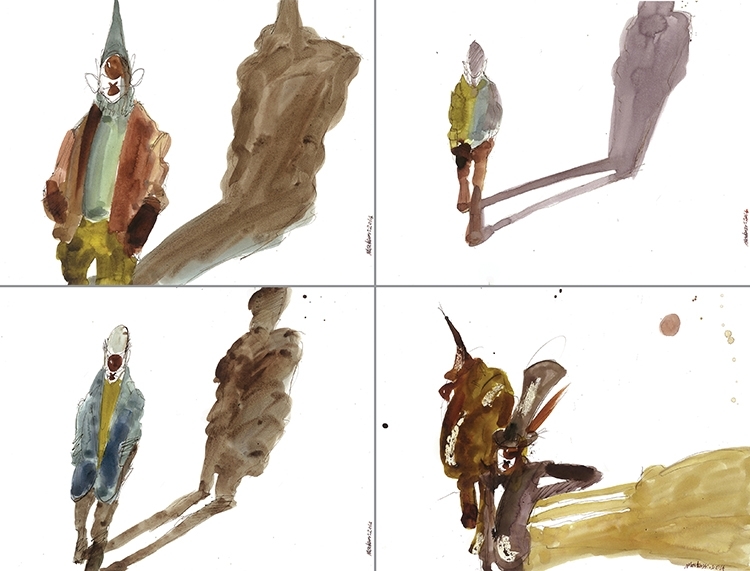 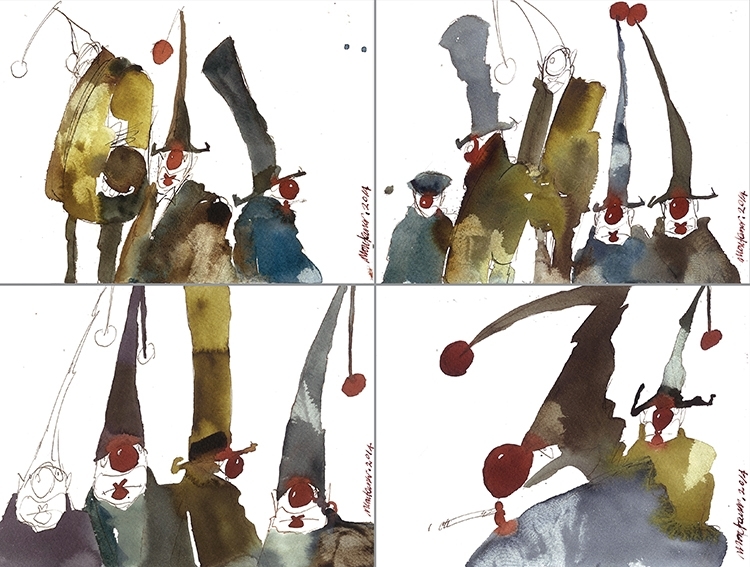 This year the artist drifts away from his comfort zone in an adventure to explore the use of Watercolors, ink and pigment embracing their playfulness and spontaneity. 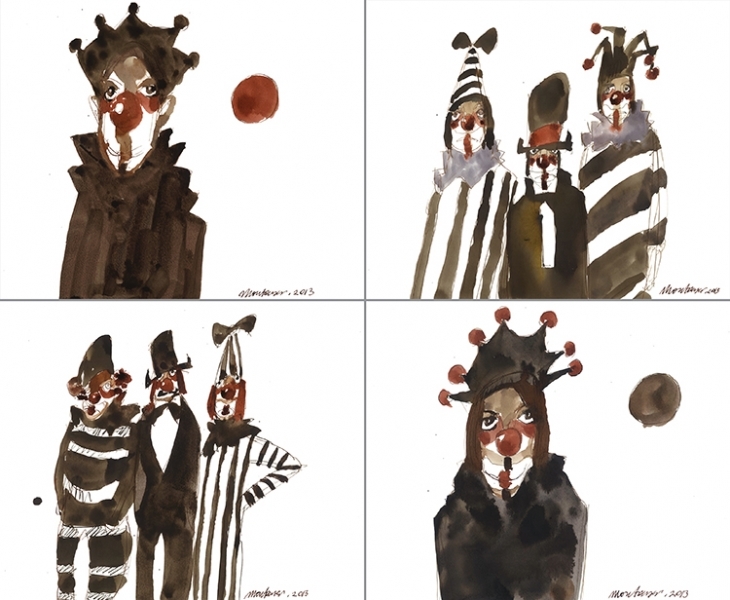 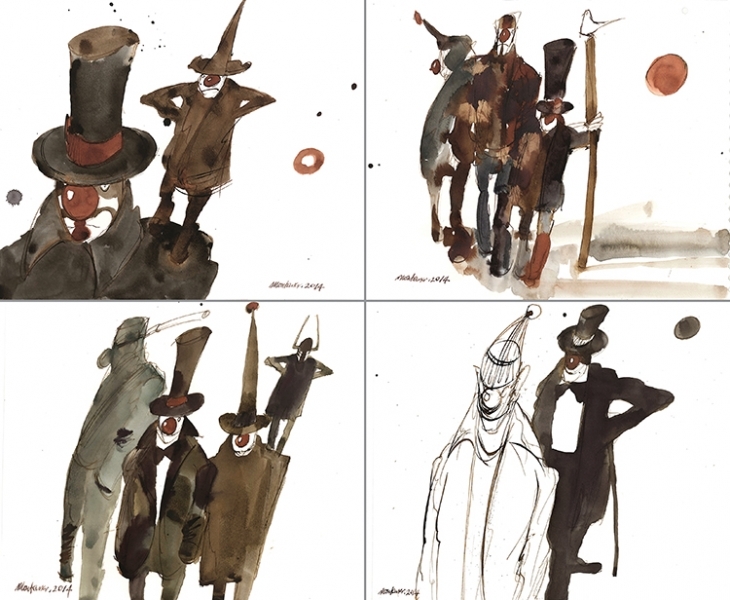 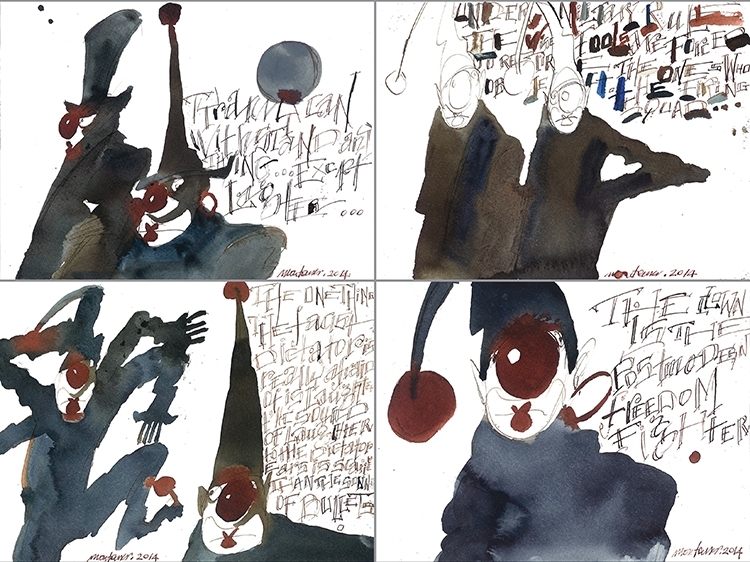 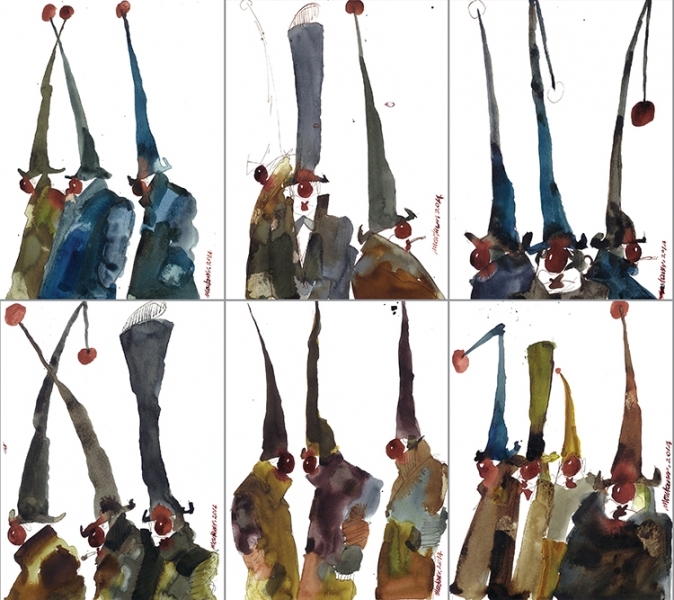 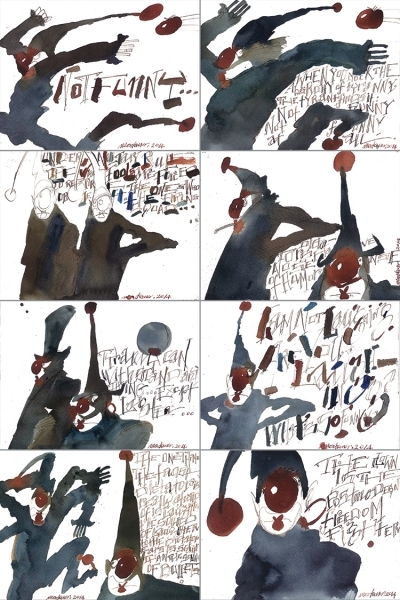 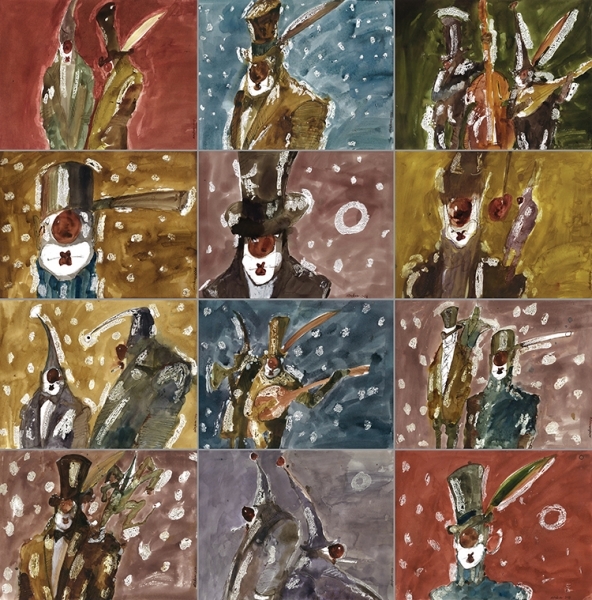 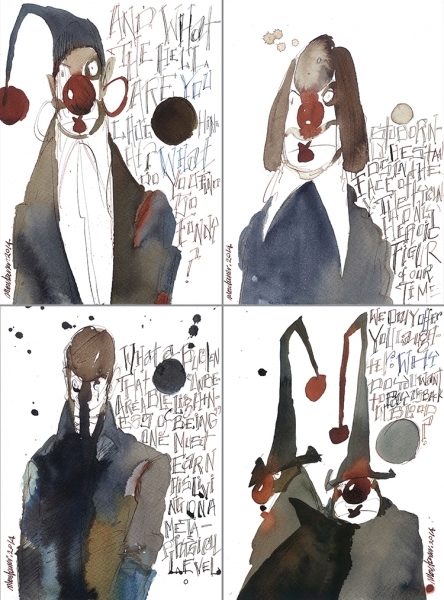 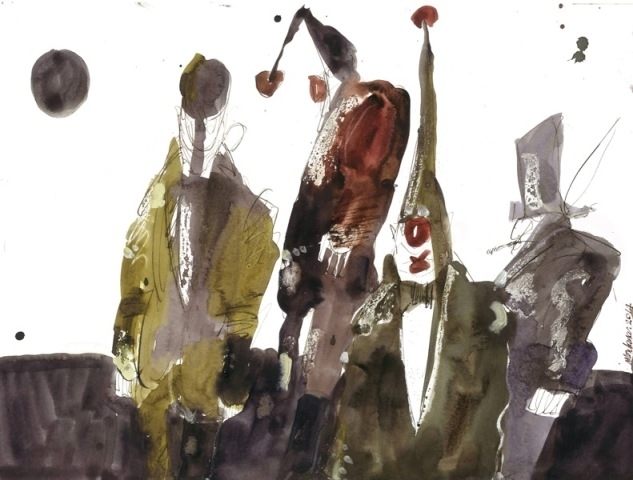 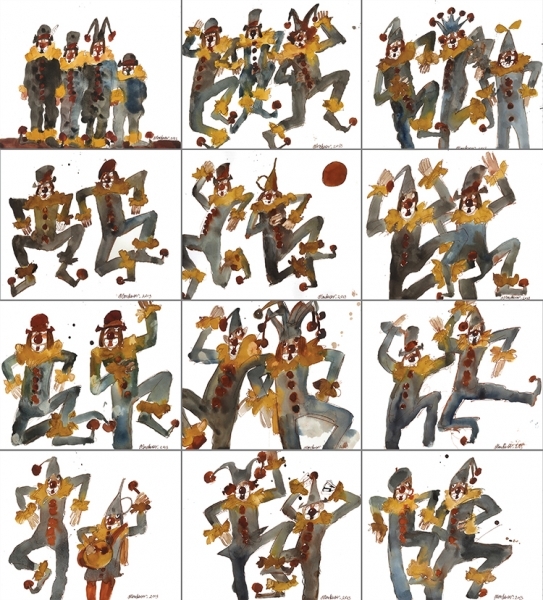 The title chosen by the artist communicates the true meaning, which he wanted to transfer through his Artwork: The main character of the show is the clown, whom he explores from an nontraditional perspective. 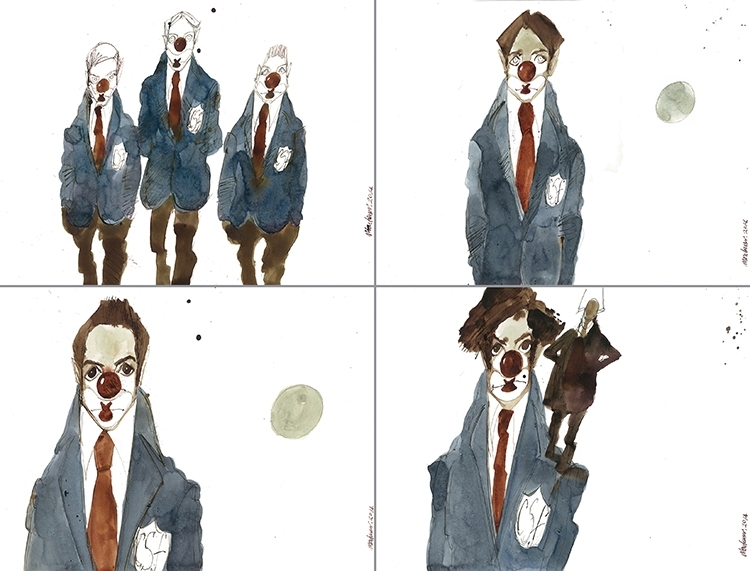 Regardless of the clown’s Red bright nose, the makeup, which forces an artificial smile upon his face; regardless of his body jumping, dancing and singing, we witness the sorrow in the clown’s eyes, as if desperately crying “No sadness exceeds that of he who lives for the merriment of others, his sadness is his own and everyone else’s.”In these works, the clown characterizes every creative artist wishing to spread happiness and joy into the hearts of others.